Kawasaki will join Ducati in releasing an all-new bike in that class. 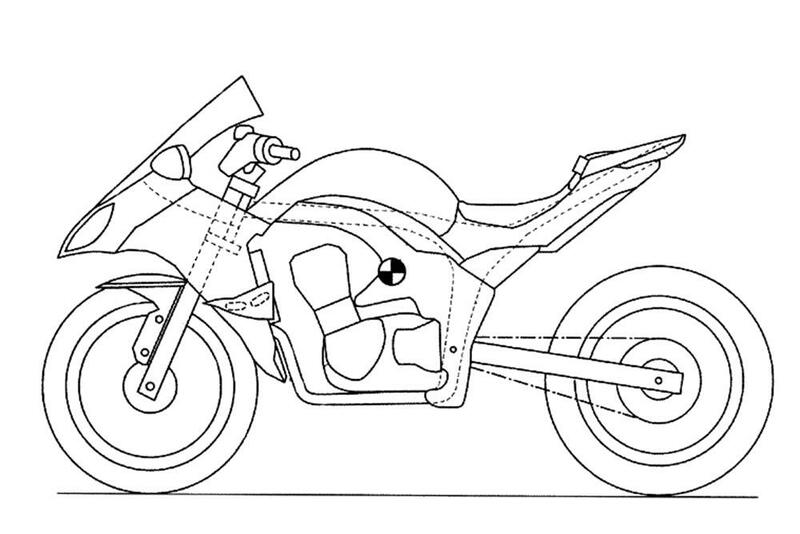 Patent drawings suggest Kawasaki have a secret new road-focused Ninja 1000 under development, which comes just a week after Ducati previewed their new SuperSport 939 at World Ducati Week. The two bikes would be a massive shake-up for the sports-touring class, which has been almost abandoned by bike firms as they have rushed to develop adventure bikes and modern classics. These computer-generated images have been based on patent drawings lodged to cover many of the technical and aerodynamic innovations that Kawasaki are keen to protect from being copied. The patent drawings show a Ninja 1000 – a fully-faired bike using a refreshed version of the engine and chassis from the current Z1000 and Z1000SXs, which need to be worked on in order for them to pass looming Euro4 regulations anyway. We don’t expect the engine power output of around 140bhp to change much. Like the current Z1000SX, this new Ninja 1000 will be aimed squarely at those who ride on the road, not the track. There is, however, a clear link to the range-topping Kawasaki H2 and H2R models in the form of two aerodynamic wings that can be seen mounted on the side fairings. The patent drawings are very clear about the design, which clearly mimics that of the supercharged H2 models. The Kawasaki Z1000SX has been a big success for Kawasaki. It’s considered to be a highly accomplished road bike that almost sits alone in its niche. But the pool of competitors is growing, with the likes of Suzuki’s GSX-S1000F, KTM’s 1290 Super Duke GT, and MV Agusta’s Turismo Veloce – all of which aim to achieve a fresh blend of sporty control, long-distance capability and everyday usability. Neither of the Z1000 or SX models are currently compliant with Euro4 regulations so both will need substantial work from emissions and noise control perspectives in order to continue in the range beyond January 2017. But it looks like this refresh will be coming imminently and will consist of a styling rethink along with the mechanical changes, too. 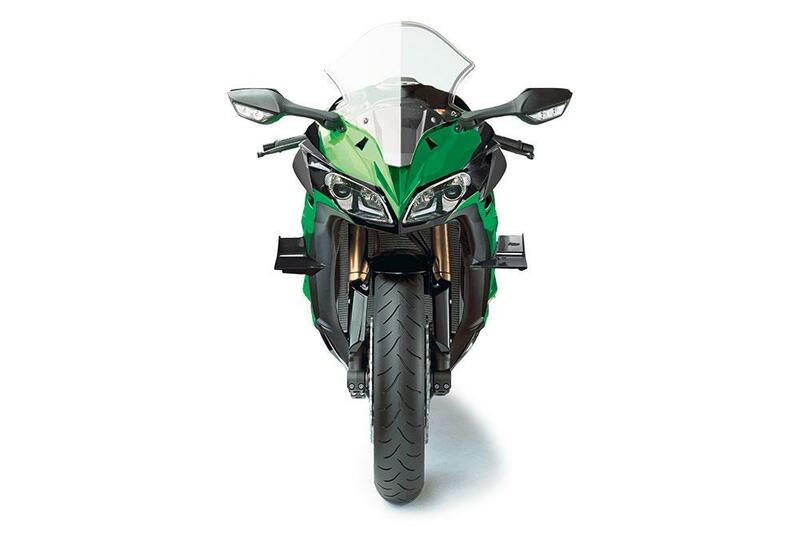 One of the key parts of the patent drawings has been centred around the front lights, which appear to be LED and bear a strong visual family similarity to those on the ZX-10R superbike. The Ninja 1000’s fairing is completely new. While we’re not convinced the protruding nose will make it to production, it gives a clear indication of how much work has been done on the bike, and Kawasaki’s design direction. Euro4 rules come into force at the start of 2017 and all manufacturers have been frantically working to get bikes ready for the new regs. All Euro4-compliant engines will emit fewer nasty gases and less noise. Bikes also need fork leg reflectors and petrol evaporative control filters. There’s not a lot wrong with the stable handling of the Kawasaki Z1000SX so don’t expect massive changes to the aluminium twin-spar frame, beyond some minor packaging tweaks. There’s no hint here that the suspension could be electronic, but with the systems becoming more readily available, this would be a logical application for its use. Kawasaki’s H2 and H2R models grew wings to concrete the image they wanted to portray, of being the most powerful production bikes in the world. They might be banned in MotoGP from 2017 onwards, but they’re on the new Ninja 1000. It’s difficult to imagine how any modern bike could match the impact of Kawasaki’s GPZ900R in 1984. MCN Fleet: Ninja by name, Ninja by nature? 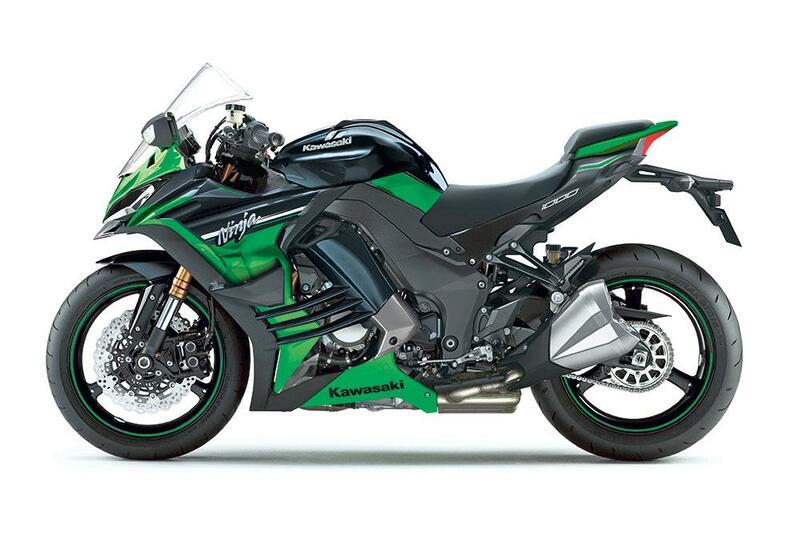 I’ve been asking myself - is Kawasaki's 650 really worthy of the Ninja name? On looks alone, maybe.